Mai Khao Ballroom - The flexible Mai Khao Ballroom is divisible into 5 separate breakout rooms. JW Marriott Phuket Resort & Spa famed for its magnificent beachfront location, orchestrated a sophisticated meetings and events facilities, intuitive planners, flawless service and authentic culinary to delight your delegates. As an Eco-destination, a crafted team offers customized team building and CSR initiative programs, destined to exceed your aspirations. Phuket is an idyllic and exotic destination, popularly known as the Pearl of the Andaman Sea. JW Marriott Phuket Resort & Spa is located on 11 hectares (27 acres) of exquisite tropical gardens with freshwater ponds and natural preserved coastal wetlands overlooking the Andaman Sea on beautiful Mai Khao Beach. Just 15 minutes north of Phuket International Airport, the resort enjoys 17 km (10 miles) of natural beachfront and is adjacent to the Sirinat Marine National Park and protected sea turtle nesting area. JW Marriott Phuket Resort & Spa comprises 265 deluxe guest rooms of which 252 deluxe rooms, 12 suites and 1 Royal Villa (2-bedroom). All guest rooms are ocean facing with stunning views of the lush tropical gardens, pools and Andaman Sea. Accommodation is available with one king-size bed or two double beds. Interconnecting rooms are available and three rooms are adapted for wheelchair access. 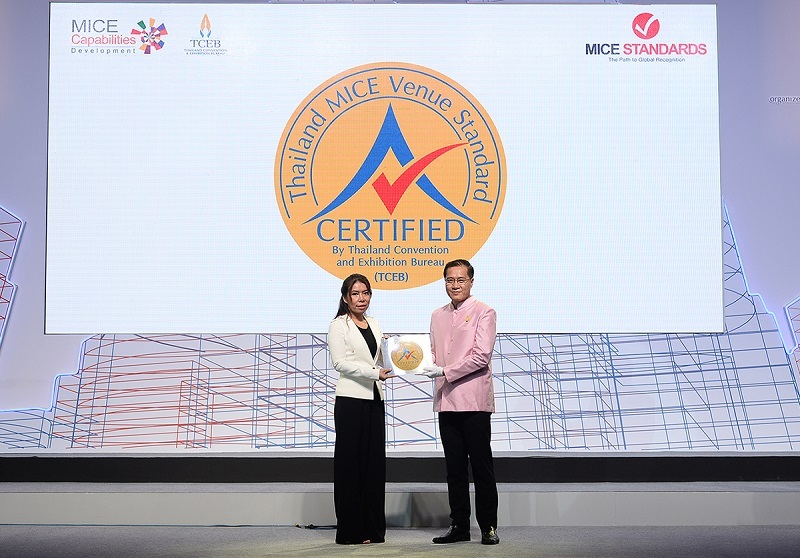 In addition to Ginja Cook, our premier culinary school where you can learn the intricacies of fine Thai cooking. Enjoy access to a range of world-class facilities including the award winning Mandara spa, 3 swimming pools, Health club with fitness equipment, sauna room, tennis courts, table tennis, beach volleyball, watersport center, diving center, bike rental, kid’s pavilion. The Mai Khao Marine Turtle Foundation, a dedicated Turtle Shelter and Education Center at the resort. A variety choice of an exhilarating outdoor programs such as Phang Nga Bay cruising, diving off the Similan Islands or exploring the wild on a safari and more. Nearby to the resort is a 36-hole championship golf course and Turtle Village Shopping Plaza. • A range of secretarial, business support services and privileges including on-site IT support, high-speed Internet connection, post/parcel, messenger, copy and fax services, voicemail service, translator, safe deposit box facility. Teambuilding or organizing a special group tour is an excellent way to introduce an educational, fun-filled activity into a conference program and often is the highlight of the conference. The most popular teambuilding program is based on the reality show survivor and takes guests out of the resort, and their comfort zone, and into the realm of teambuilding in a realistic setting. 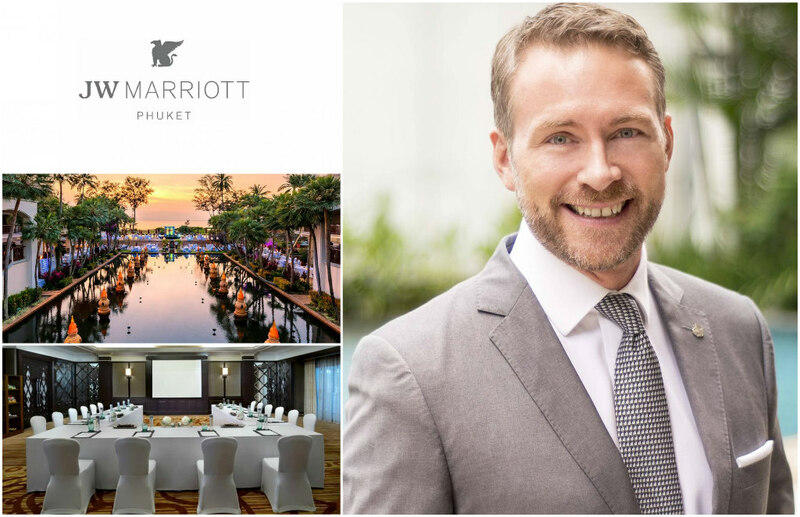 JW Marriott Phuket Resort & Spa is delighted to announce the appointment of Matthias Y. Sutter as the General Manager who brings with him a wealth of knowledge and 18 years of luxury hospitality expertise.